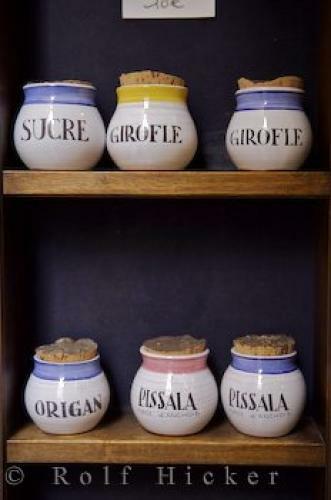 Cute cork topped Terres de Biot pottery jars displayed at a shop in Nice, Provence, France. Terres de Biot (pottery) products on display along Rue du Marche, Old Town, Nice, Provence, Cote d'Azur, France, Europe. sale in Nice, Provence, France.